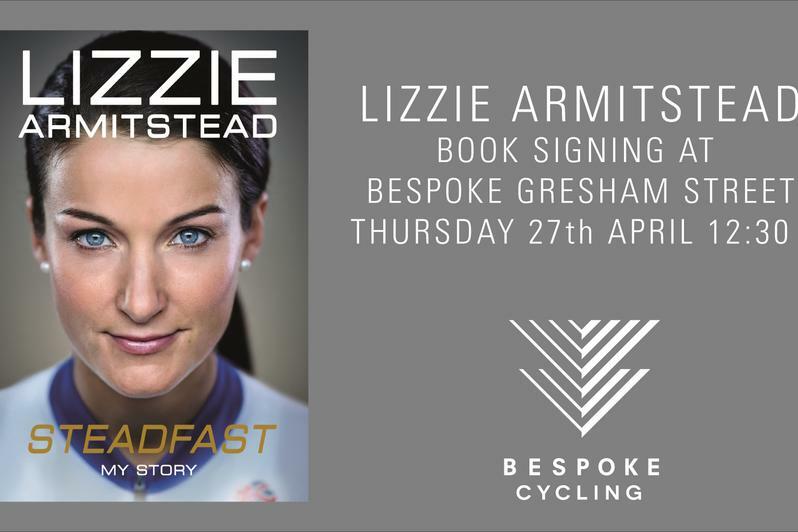 Lizzie Armitstead will be signing copies of her new book 'Steadfast' at Bespoke Cycling, Gresham Street on Thursday 27th April at 12:30. Come down, buy a book and meet a legend! It's free to attend and there's no ticketing, so please just come down on the day.